John Prentice has very kindly given permission to use some text, from his excellent and very interesting Tramway Information website. 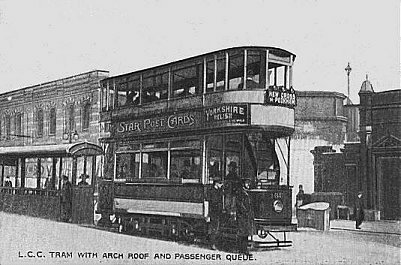 We are also most grateful to Mr Prentice for the permission to use the images taken from his extensive collection of historic tram postcards. 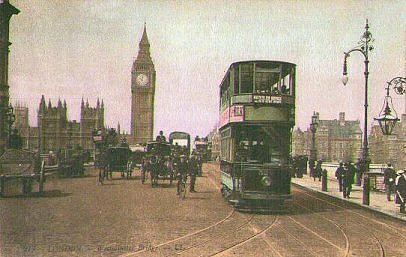 Car 320 on Westminster Bridge 1906. 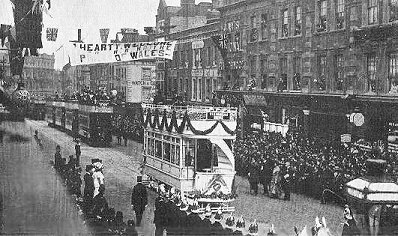 Used with permission of John Prentice and the Tramway Information website.